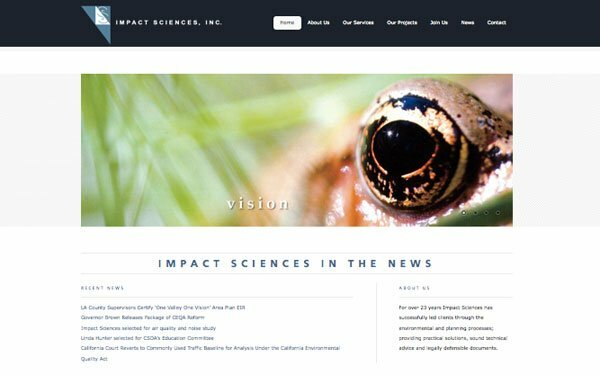 Overview: Impact Sciences. 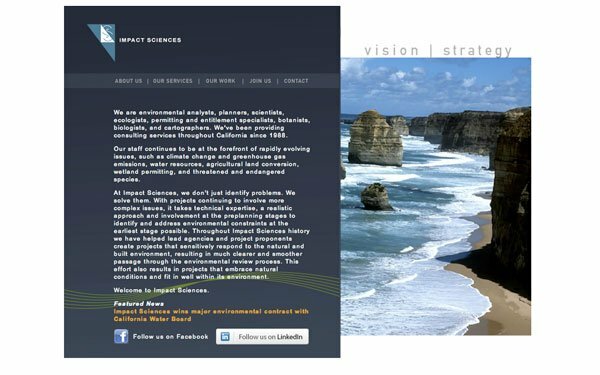 Update outdated Website design and provide content management system for client to make updates. Process: Decided WordPress was the best solution for client to make easy updates. Researched and presented hand-picked WordPress themes and customized final theme to meet client’s criteria and functionality. Matched colors from previous site; copied & transferred all page text and images. Home page image slider, including custom graphics. Different colored section headers, requiring custom page templates for each category section. Swap location of sidebar from right to left side of page. Custom Home page template with custom Widget locations. Customize code for separate images in header of each page. Secondary navigation for each section. Drop-down accordion address menu in sidebar.